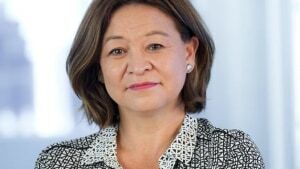 It has been confirmed that former ABC managing director Michelle Guthrie will be taking the national broadcaster to court after she was sacked last month. Guthrie’s contract was terminated mid-way through her five-year tenure reportedly over tensions between her and the chairperson Justin Milne. Her exit from the broadcaster triggered chaos at the ABC with Milne resigning soon after and pressure being applied to the ABC board to also resign. According to the ABC Guthrie will claim the board “had no reason to trigger the termination clause”. In other news at the broadcaster, director of ABC regional and local Michael Mason revealed he will be leaving the ABC in December. In a statement Mason said his decision was unrelated to the exit of Guthrie and Milne, saying he had made the decision a month prior to the leadership turmoil. “I am aware that we have just experienced significant change at the highest levels within the ABC,” Mason said.